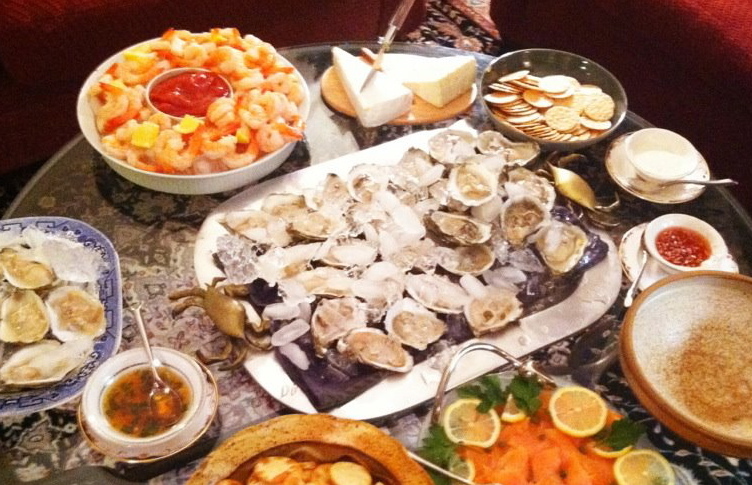 Go Shuck An Oyster: Holiday Oyster Photos - Thanks for sharing! 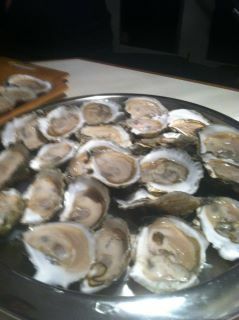 Holiday Oyster Photos - Thanks for sharing! The DiGiammarino Family sent in a photo from "our second annual Feast of the Seven Fishes. We enjoyed twice as many oysters this year - Island Creek, Moon Shoal and Beach Point. To round out the meal, we also enjoyed shrimp, smoked salmon, calamari, scallops, conch, and mussels. Yum." What a great family! 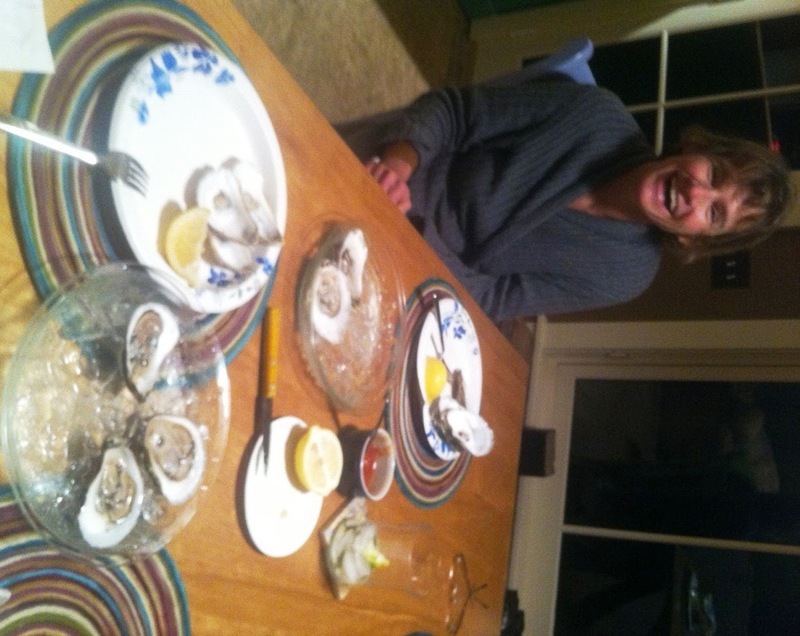 Mrs. Spencer (sideways - sorry, I couldn't figure out how to turn the picture) shared with us her empty plate after enjoying oysters at her home in Maine. (we hope the three extra oysters were consumed!) I had the opportunity to meet her last year at the B and G Oyster Fest. 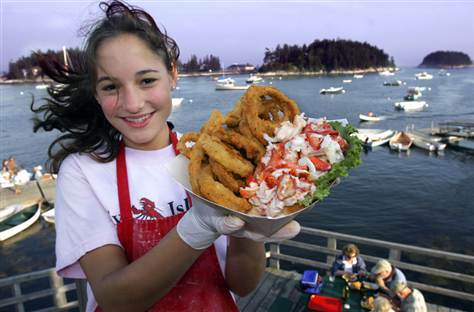 Being a seafood family, a picture of her daughter Lesley is below, posing with a lobster roll when she worked at Five Island Seafood years ago in Maine. Finally, our very own Rachel, shucked this wonderful plate of Island Creek Oysters at a recent house party. Rachel learned to shuck oysters at a class offered at Mercato del Mare in Boston, MA. We hope your holidays are filled with happiness and oysters. Please feel free to share your photos with us, during the holiday and throughout the year.